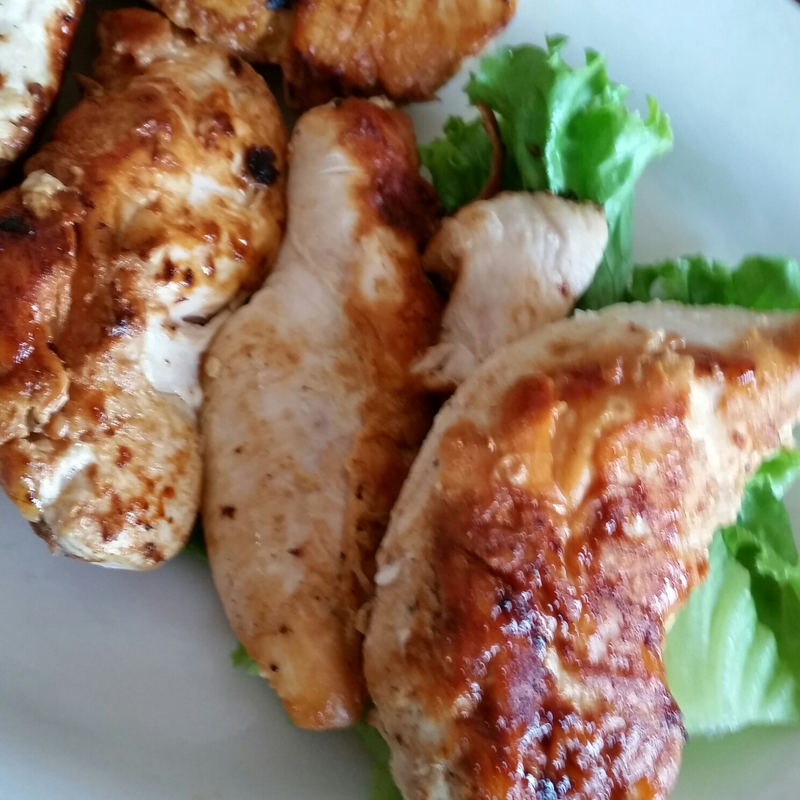 Chicken breast strips are great made on a George Foreman Grill. 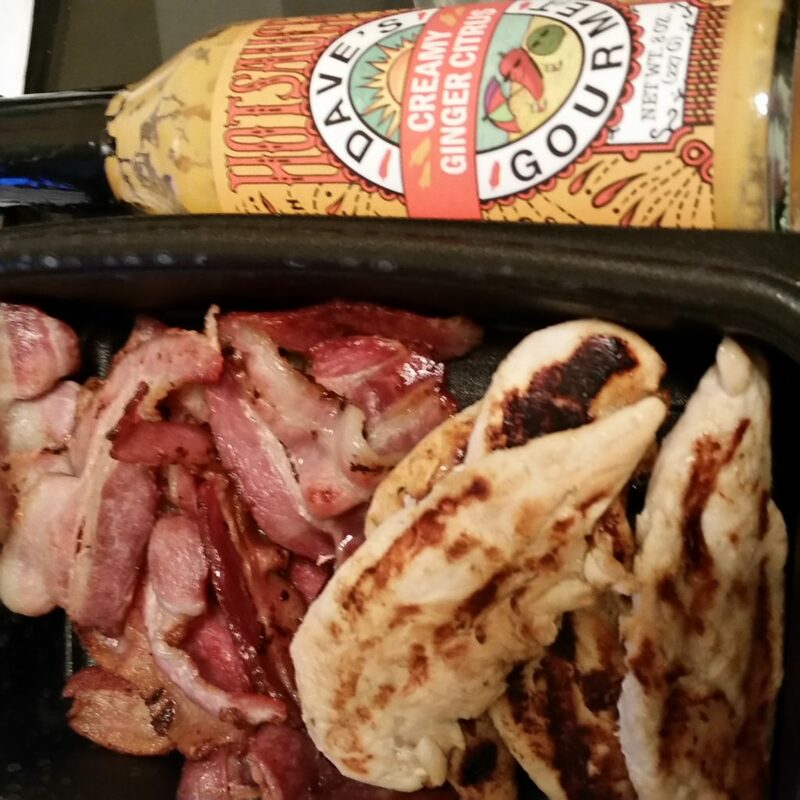 They’re even better when served with Dave’s Gourmet Creamy Ginger Citrus sauce. A sweet hot spicy flavor that you can’t help but love. A side of bacon doesn’t hurt either. Feast your eyes on this bacon, chicken, ranch quesadilla by @Kayeri! 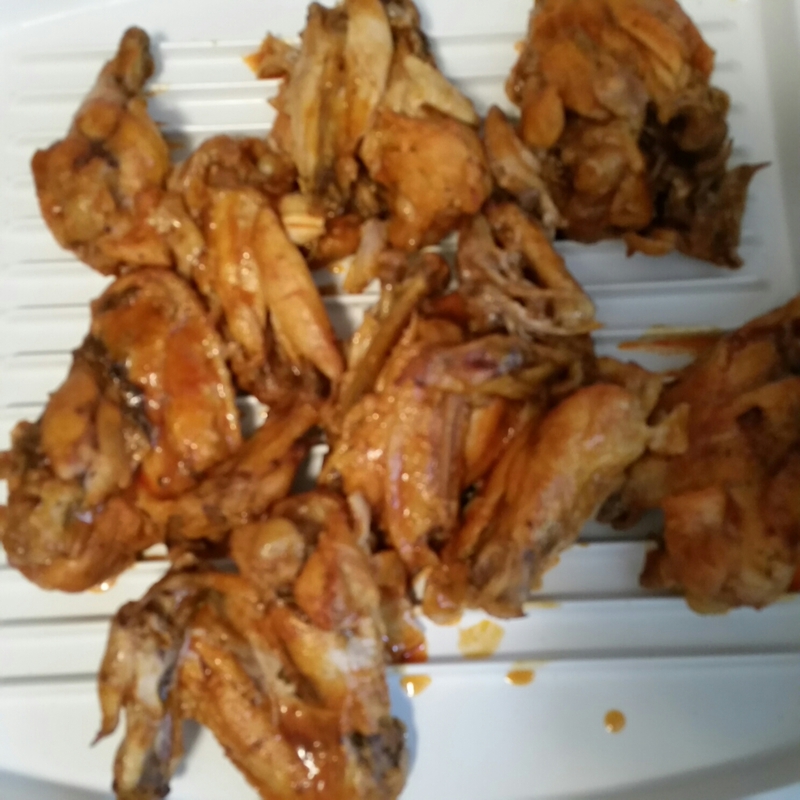 There are places all around me perfectly willing to make wings for, at a reasonable price. 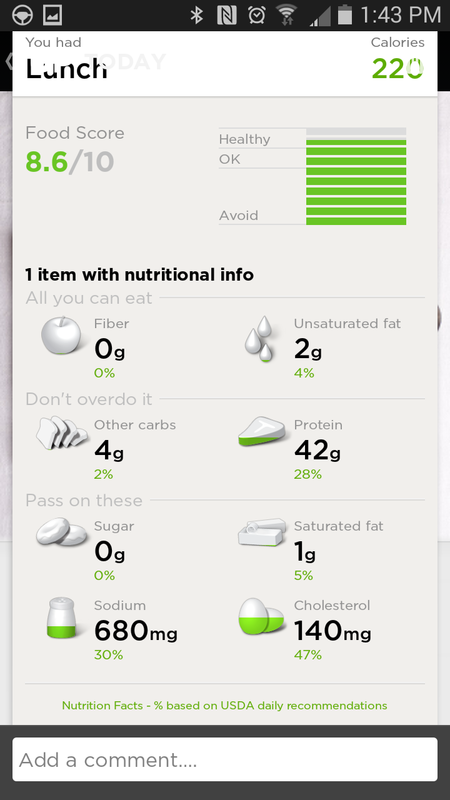 Better tasting and less clean up to boot! 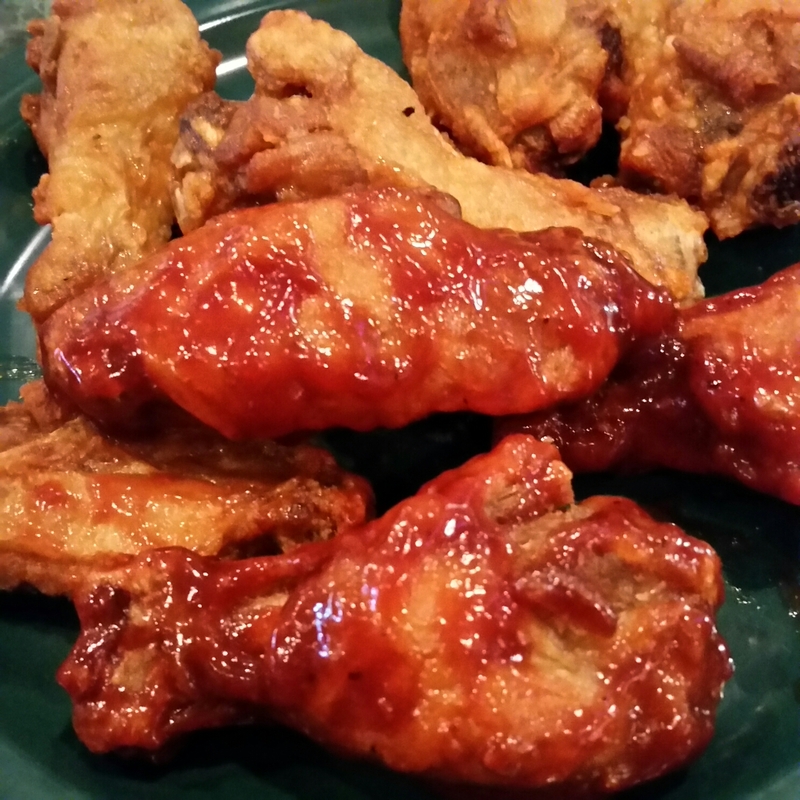 For the official National Chicken Wing Day I want to know how many of you believe “boneless chicken wings” actually contain wing meat. Do they sit there removing bones from perfectly sellable wings? The same wings they can barely keep in supply? 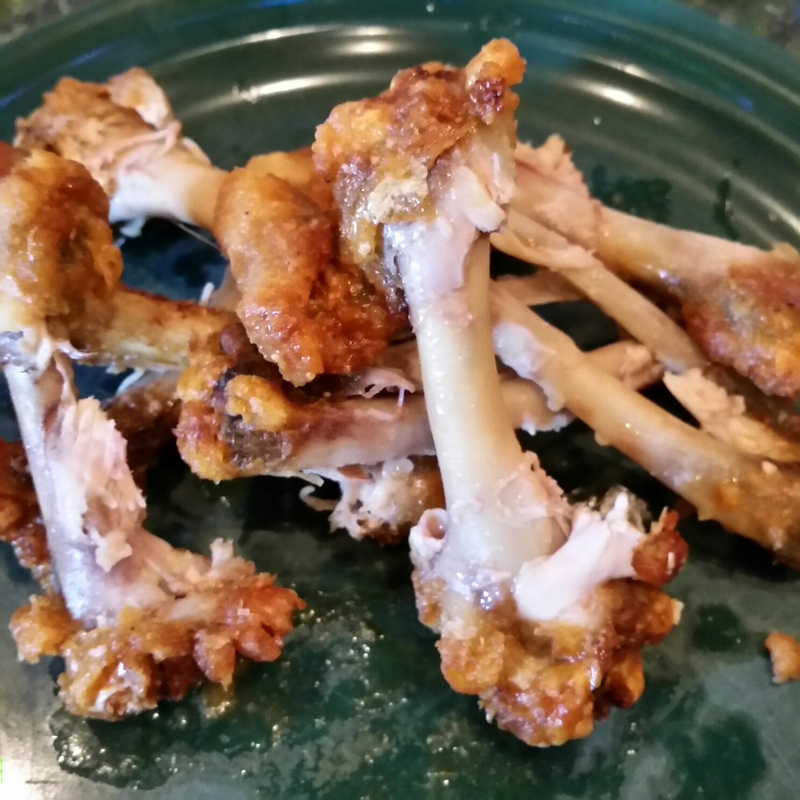 Or more likely just tagging the name “wings” on chopped up pieces of tasty chicken parts like these? Petty, yes, but I dispise deception in all forms. I assure you, it is true. The Arby’s Meat Mountain is real. 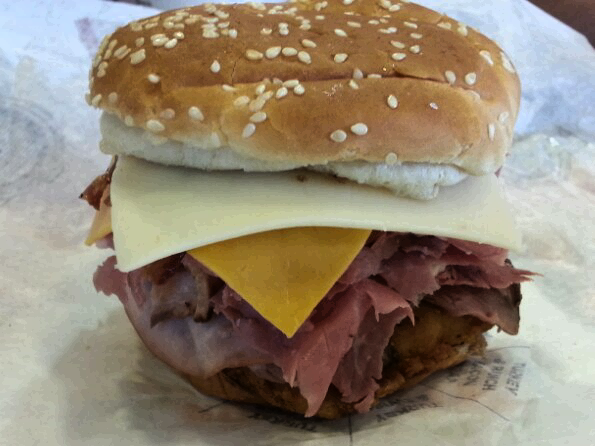 It has every meat Arby’s carries, along with 3 cheeses, all on a sesame seed bun. With some Arby Sauce and Horsey Sauce it is quite a tasty sandwich. Of course if it was on the onion bun of the Beef & Cheddar, along with the cheese sauce and red sauce, it could be divine! I fully expected to be met with blank stares when I asked for a “Meat Mountain” as it is not on the menu. 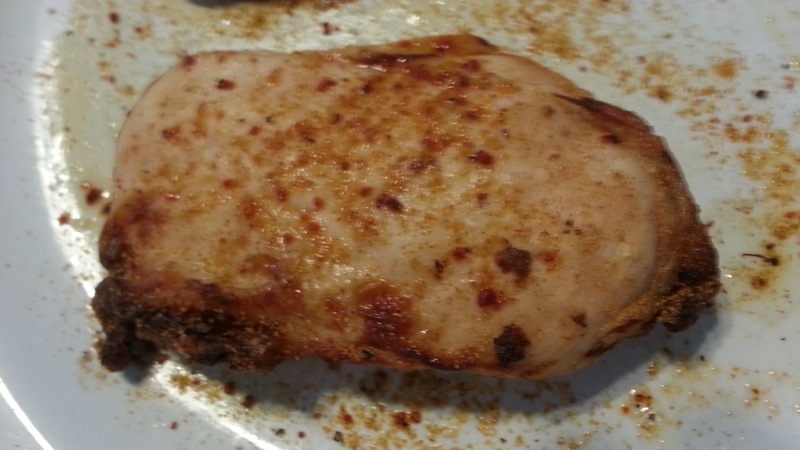 Instead she turned and called back “another Meat Mountain”, and the slicing began. Were I to have it again I think I would remove the chicken tenders to eat separately and beg for some of the red sauce they use on the Beef & Cheddar. 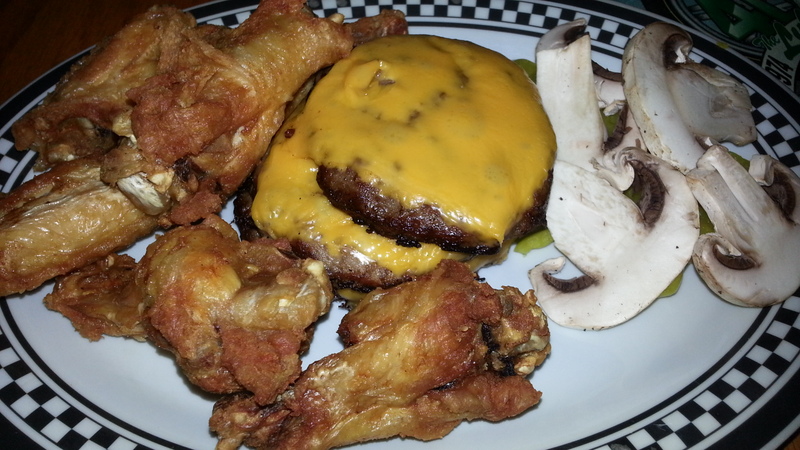 My favorite pizzas off Chet & Matt’s pizza & wing buffet include these tasty offerings. 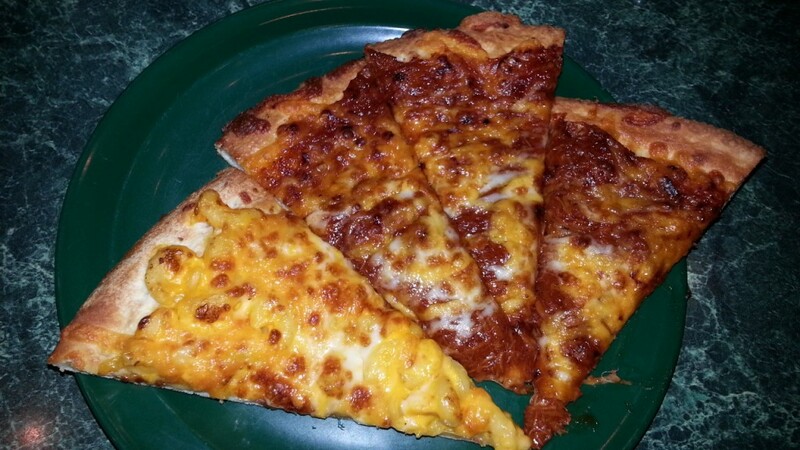 The creamy and delicious Mac and Cheese pizza is a unique taste and very good. Also pictured is their BBQ Chicken pizza. Though most everyone now offers something like this, none I have had are as good. The shredded chicken, bathed in Sweet Baby Ray’s BBQ and smothered in a mixture of cheeses is a flavor combination I find hard to resist. 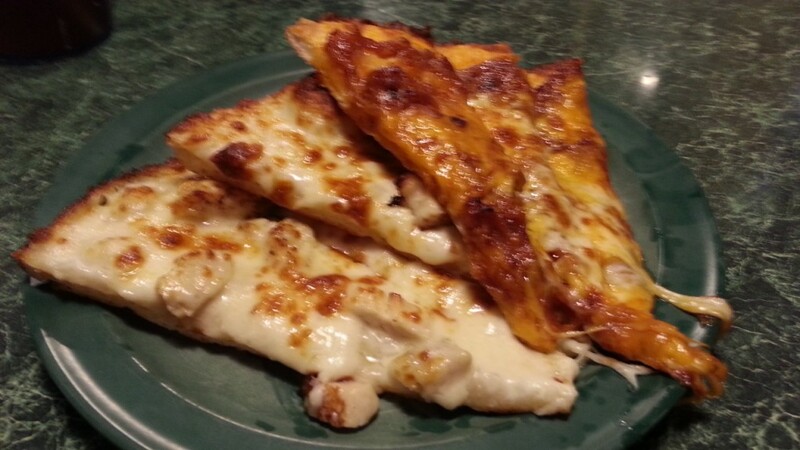 Stacked beneath some more BBQ Chicken slices are a few slices of their Chicken Alfredo Pizza. 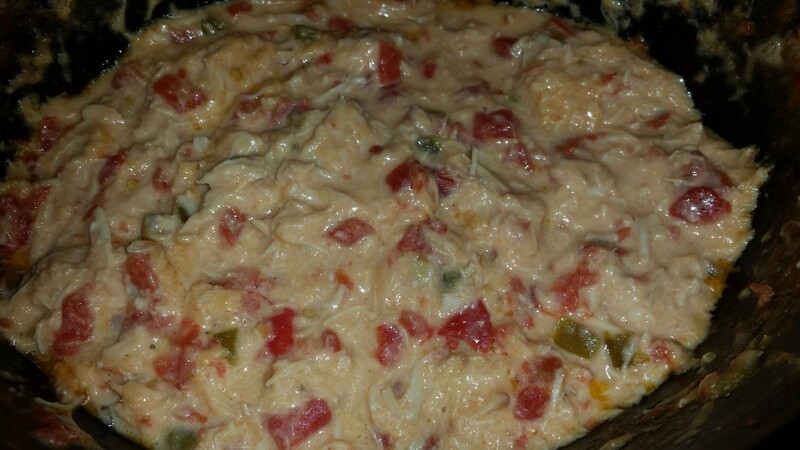 Though I prefer the BBQ, I have yet to find a place that served a better Chicken Alfredo.